…is sharing this excellent 7m 31s film. It is what I have said for a few years now, just that Sean says it better and more clearly. These are not such new ideas. What is happening is that people like me and Sean are rediscovering stuff that has been known for years. A man called Meyer was writing and telling as many people as he could about the ineffectiveness of labeling people with specific mental illness quite a while back (in 1896!). It is a difficult message to get across. I studied, taught and wrote about bipolar. I even took the psychiatric drugs for it for 12 years. Gradually I discovered that bipolar is no more than a label given to people when an underlying cause has not been found. Discovering a disorder does not have to mean a permanent disability gives opportunities for change and having a whole new life. Am I Bipolar or Waking Up? After a powerful emotional experience Sean Blackwell was sure he was destined to be something other than a Canadian advertising man. Sean describes a close shave with death that may have contributed to what many would have seen as a manic episode. The autobiography unfolds with many seemingly chance encounters leading to the start of Sean’s new life in Brazil. This is an exceptionally well-written and enjoyable autobiography. If you know of Sean’s current work you will have a good idea how the book ends, yet Sean tells it as it happened with only vague insights into what the future would hold for him. Reading about ‘spiritual awakenings’ and how young people are being ‘stamped’ with the bipolar label in North and South America, has got us wondering how often manic episodes would be better described as Emotional Awakenings. Emotional Awakenings: It seems young people who are trying to live the life others expect of them can quite suddenly have a wave of extreme emotion accompanied by bizarre behaviour. Yet, with good support people come through this without a mental health diagnosis, without psychiatric drugs, and often with a new sense of purpose. 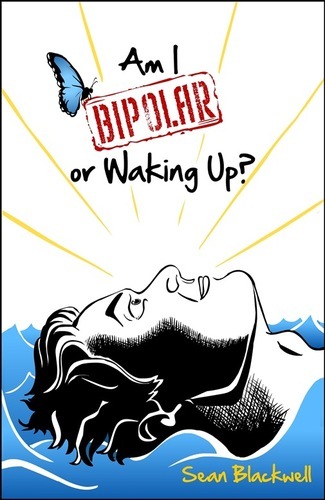 ‘Am I Bipolar or Waking Up?’ by Sean Blackwell is full of hope and needs to be read by every parent in the western world if the bipolar epidemic is to brought under control.